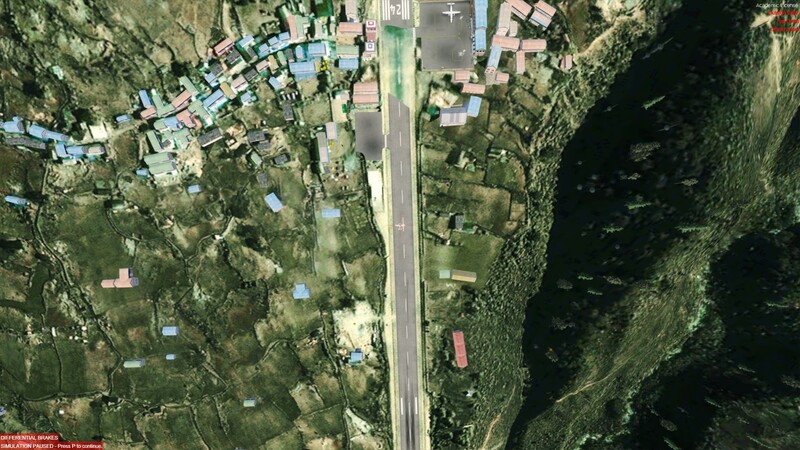 When I takeoff from other airports(ex: VNSB, VNKT...)and approach to Lukla, I saw the runway as the picture. 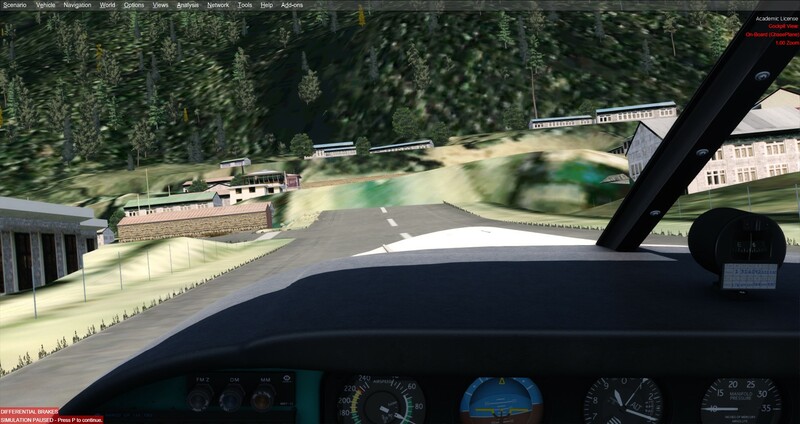 But everything looks fine if I takeoff from Lukla at beginning. You use any mesh add-on? And yes, I use FreeMesh X. You can try higher mesh settings to solve it. If not you can try to disable the specific mesh file of freemeshx. I have set my Mesh in the settings of P3D to 1m, but this still exists. I will tr to deactivate the FreeMesh. OK! I have deactivated FreeMeshX Asia. Fortunately I didn't crash because I have slowed down before the "elevated ground". So it's not related to Mesh. I then activated FreeMesh X Asia right at VNL2. After it reloaded, everything came to normal. But we sold tens of thousands so I doubt the product is at fault. Are you sure you got the mesh settings in the sim right? Thanks, sure I agree with you. I set the Mesh of the Sim to 1m. I also installed FreeMesh X, but I cannot adjust the setting of FreeMesh X. With the FreeMesh deactivated, the elevation was still there. So I don't know the key point of the anomaly. Could you please help me? Thanks a lot!!! If you install another mesh that has an artificial low resolution it simply might not be compatible. Hi! I know what you mean. So I deactivated my Mesh and tried again as I mentioned. However, the issue was still there..
Any other possible reason except the Mesh? Are there any other files from a old freeware addon left? 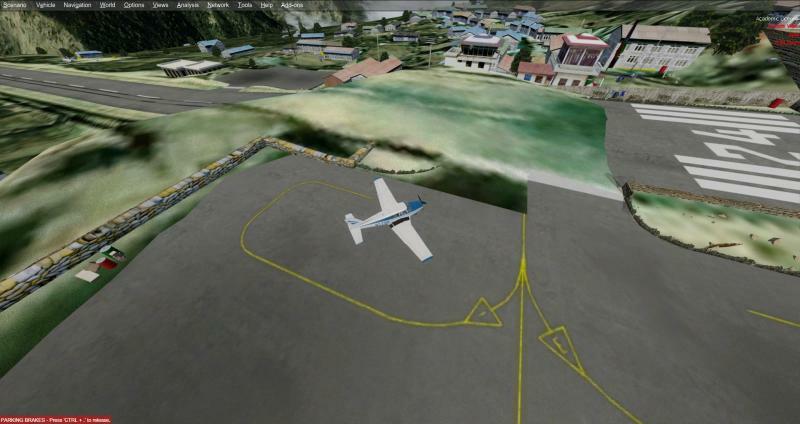 I remember this "hill" problem to be a very old problem where the scenery fights with certain limitations in FSX which might have been carried over to P3D. It got something to do with how the sim loads sceneries. 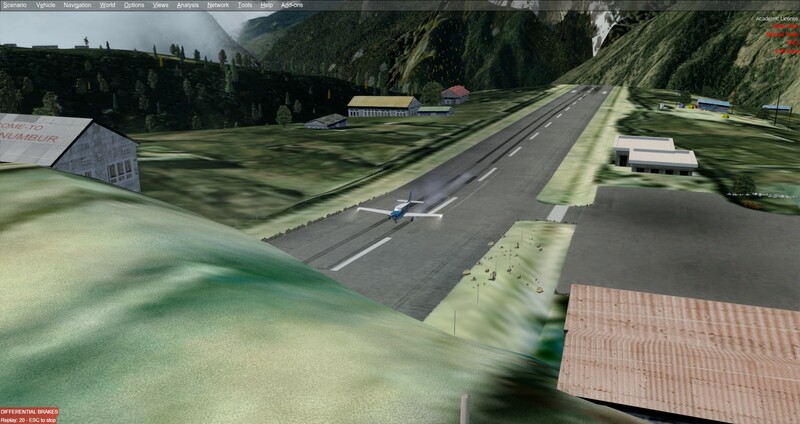 A workaround can be to use the "reload" function in the sim shortly before you arrive at Lukla. Thanks! How to reload? You mean to save the flight shortly before landing and then load the saved flight again?? I have never installed any other Lukla addon before. 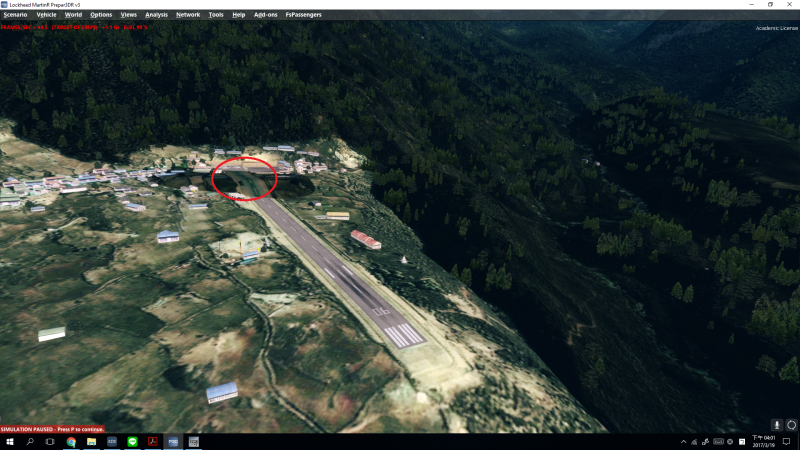 Only ORBX Global and FreeMesh X.
no, I cant check it currently, but in FSX is a function where you can simply reload the scenery in flight. This is not saving a flight and load it again! I think the same function should also be in P3D, check the menu bar. Can someone tell me if a solution to this problem was found? 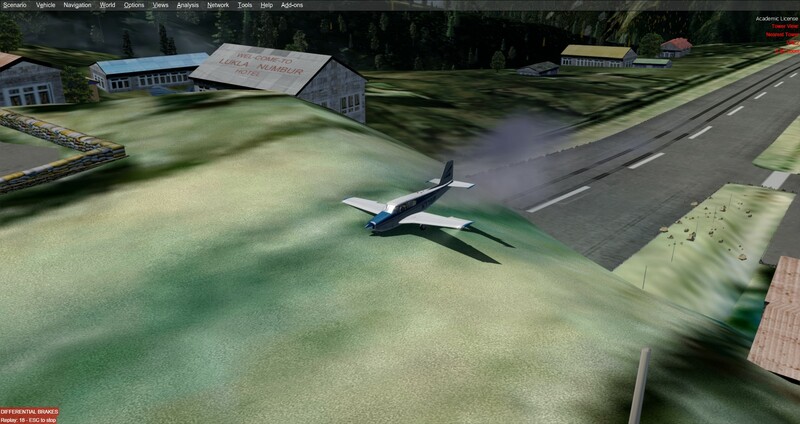 I am in FSX and mine looks exactly like the OP pictures. 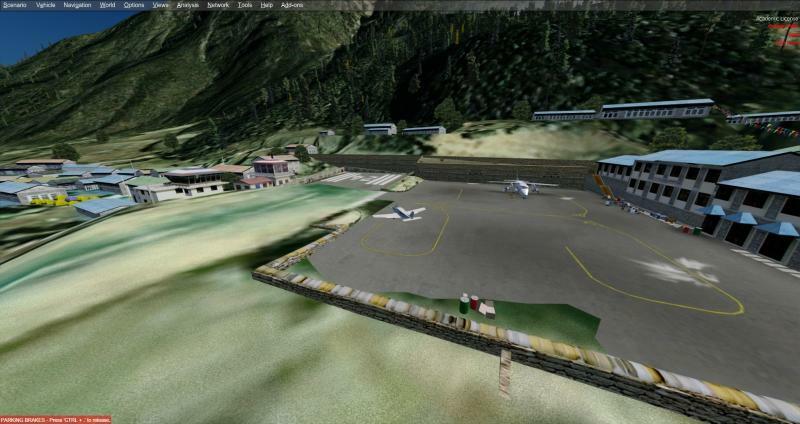 I can start a flight from Lukla with no issues but to Lukla from Kathmandu I get the same thing. I tried the refresh scenery option in the controls setup to no avail. I haven't tried just fully reloading it because I wasn't honestly sure how to without screwing my flight up. Some help there would be appreciated as well. Love the scenery but this makes landing even more difficult. Which it doesn't need to be here. Thanks if you can help. By the way my terrain sliders are all the way to the right. Mainly because another scenery, not an Aerosoft one kind of needs it. Thanks again! Oh I forgot to mention I have no other scenery addons in this area or even close for that matter. Mesh or otherwise. Just thought I better add that. Settings, Display settings, Scenery tab, change the mesh resolution by a big difference, click OK. FS reloads. After reload, if the hill is gone put back the previous mesh resolution value. If the hill remains try another mesh resolution value, when fixed, set back your original value. A lot of reloads but I'll give it a try. Thanks for the help! Once you know the value that fixes the problem, 2 reloads only: 1 with the new value helping to fix the problem, 1 to set to the original value. But I do agree: we should not have to do this in the first place, simply by not having that bug! It is not a bug, it is a limitation of the simulator. If I am correct it is explained in the manual. Does this happen in Prepar3d? Yes you can expect the same behaviour, as it is still the same engine. Yes!! I am a user of P3D v4.1. Still have this annoying issue and have nothing to do with it. I tried to disable my FreeMesh, and no luck. I bought this scenery mainly to land there. Now, I have to put is aside...... I heard they are working on a new update or release of Lukla? ?